A very important rule of the internet that one should never forget, the more you don’t want something to become a meme, the more likely it is to be a meme. It looks like Bioware and EA ignored this rule when a big part of the Anthem development process was to make sure the game wasn’t meme-able. Here’s an exert from a Kotaku story revolving around the development of Anthem. This is the mindset Bioware had, by the way. One mandate from Anthem’s directors had been to make the game “unmemeable,” a reaction to Mass Effect: Andromeda‘s jittery facial animations, which became an internet joke in the days leading up to that game’s release. 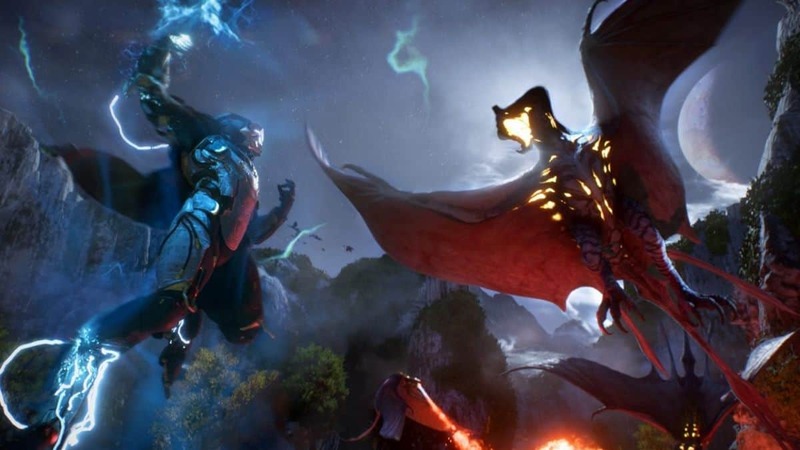 For Anthem, the team used high-end performance capture in order to ensure that the characters couldn’t be turned into embarrassing GIFs and plastered all over Reddit. Since the bulk of the game’s story-telling would be told from a first-person perspective in the hub city Fort Tarsis, players would spend a lot of time staring at characters’ faces. The characters had to look good. Shouldn’t a game developer’s first thought be to make a game that the consumers enjoy? Call me crazy, but that’s what I feel like a studio should be more focused on. Instead, the team behind Anthem just wanted to dodge the memes and ship the game in playable shape. What’s funnier about this whole thing is that Anthem became a meme for a completely different reason nonetheless. When Anthem released on Xbox One, PlayStation 4 and the Origin Store for PC, it was bombarded with negative reviews. Anthem memes will definitely hit the internet even harder after Kotaku’s article. Some people were pissed about the boring combat of the game. Others were annoyed with the lack of story, and most just hated the trade-off we got when Bioware left the Mass Effect series. And the report now confirms that most of the speculations we had about what went wrong are in fact true. This whole debacle added as another reason in a long list of reasons why gamers don’t trust BioWare anymore. Bioware was a hailed company for its RPG storytelling with the Dragon Age and Mass Effect series. Looks like their luck finally ran out.